While 3D printers have been around for over 30 years, the reality of using a printer for manufacturing purposes at a reasonable price has only recently been available. 3D printers ascended to prominence largely on the backs of desktop machines, while printers capable of producing parts that would survive the factory floor were exorbitantly expensive. This created a false but lasting perception in the industry: you could either get cheap 3D printers to make trinkets and toys or million-dollar machines with excessive facilities equipment capable of printing in coveted heavy-duty materials. The truth is the industry has changed, and more and more businesses around the world are now turning to 3D printers as an addition to their manufacturing process. With modern, powerful 3D printers must come powerful 3D design software to tackle the fast-paced and adaptable 21st-century manufacturing playing field. Here are just three of the ways SOLIDWORKS and 3D printing are used hand-in-hand to turn the industry on its head. Traditionally, 3D printers were good for one thing: cosmetic prototypes. This was because the parts weren’t robust enough to endure moving parts. Engineers could print parts to check what the final machined part would look like before having to go through the process of paying for material and a machinist’s time. Businesses are now able to design and print functional prototypes to not only see what the part looks like, but also to test how it would perform as part of the end product. This means engineers can have functional parts in their hands in a matter of days or even hours without resorting to using a fabricator’s time. This alters their design workflow to be streamlined and adaptable to change. Design packages like SOLIDWORKS allow engineers to quickly iterate through and optimize designs before sending the parts out to be produced. Equation and variable tools in SOLIDWORKS make it simple to create and update design-dependent dimensions. This, combined with revision history and branching features built into SOLIDWORKS PDM, means that engineers can go through multiple cycles of design, printing, and testing expediently without wasting any time or money. Image courtesy of Markforged on behalf of Dixon Valve. J.R. Everett, Engineer at Dixon Valve, expressed his delight at how he and the other engineers “were able to re-tool a robotic arm in a manufacturing cell in under 24 hours” utilizing parts printed out of carbon fiber on a 3D printer. With new technologies and materials come new ways to solve traditional processes. 3D printer companies, such as Markforged, offer a wide array of strong, durable materials such as carbon fiber and stainless steel, which are able to withstand even the most corrosive manufacturing environments. 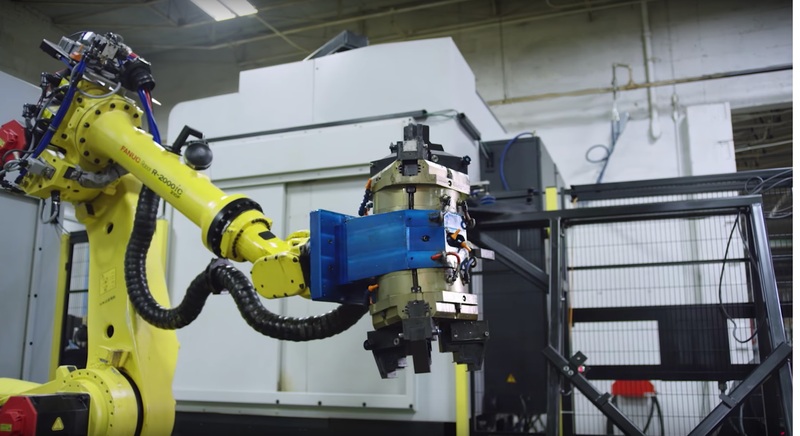 From forming tools, like molds and dies, to workholding parts, like end-of-arm tooling and inspection fixtures, there are a multitude of tooling parts that can now be quickly printed in a cost-effective manner. 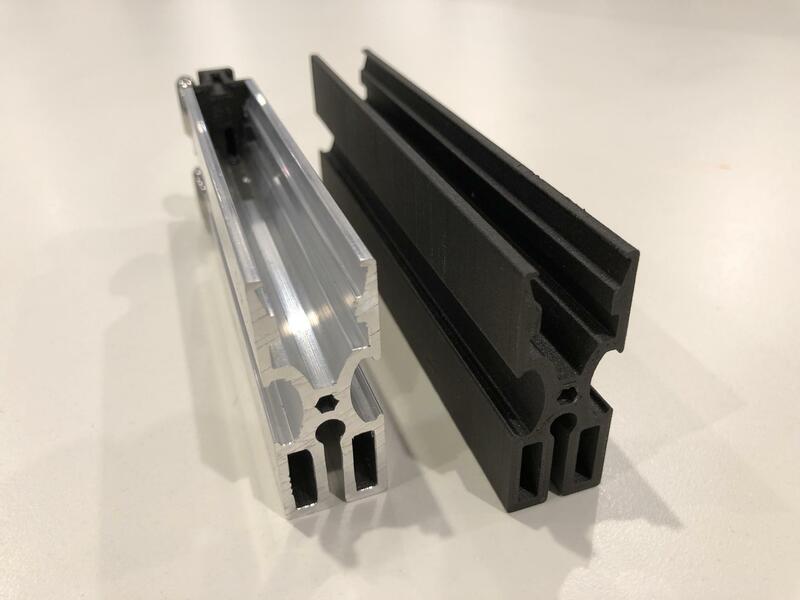 These types of workholding parts and tools are no longer subject to traditional subtractive design constraints of machined workholding — the key benefits of 3D printed tools are that they can be conformal and non-marring. Traditional workholding is often less secure, limited in complexity to reduce the number of operations needed to machine the tool. SOLIDWORKS makes it easy to design many different types of conformal tools, meaning you can design and print tooling for new products easily. Whether you’re using subtract operations to make a conformal soft-jaw, or working with mold and die designers integrated into the program, creating 3D printed workholding requires minimal CAD work once you’ve designed the part. With that, you’re one step away from hitting print and having the first iteration of the tool ready for the manufacturing floor. Image courtesy of Markforged on behalf of Radiant Images. 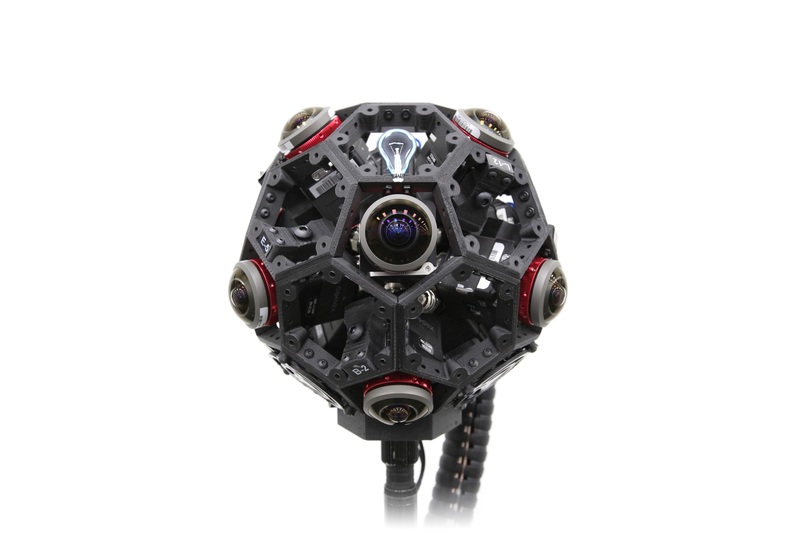 By printing its 360 camera frame in-house out of Onyx and Carbon Fiber on their 3D printer, Radiant Images builds lighter rigs faster than they ever could before. While prototypes and workholding equipment are critical elements of the product development process, it’s the finished product that actually brings revenue to the business. 3D printers can yield parts strong and durable enough to be used in or as an end-use part. Modern-day printers create parts that are long-lasting with a smooth, clean surface finish. Businesses now rely on 3D printers to create parts capable of going from the manufacturing floor straight to the customer’s hands. SOLIDWORKS combined with high-strength additive manufacturing encourages well-designed parts for a modern manufacturing ecosystem. With its geometry analysis packages and design optimization and simulation tools, you can save weight, validate strength, and create a more streamlined design. While traditional manufacturing methods come with a compromise of machinability, SOLIDWORKS and additive manufacturing opens the doors to high-performance designs — designed, analyzed, and created efficiently — with no compromises on manufacturability. Combining the tools supplied by SOLIDWORKS with the benefits of 3D printing, the manufacturing industry is quickly learning that there are new and improved ways to create parts without spending large amounts of time and money on custom parts. Charlotte Weiss is a Marketing Writer at Markforged, and is passionate about sharing stories of customers who are finding new ways to use technology. She graduated from the University of New South Wales (UNSW) in Australia with a degree in English and Linguistics and has six years’ experience writing and editing technical content.